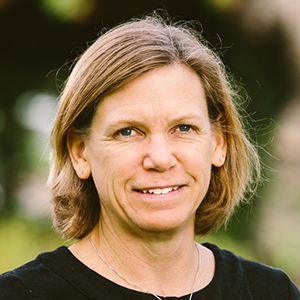 Leanne Dzubinski comes to Biola after more than 25 years of cross-cultural ministry. She has served in a variety of ministries, including professor at the Spanish Bible Institute and Theological Seminary, church ministry in Barcelona, Spain and Graz, Austria, theological education by extension (TEE) in Austria, leader development for missionaries and continuing professional development for women missionaries across Europe. She has also served in Asian-American church ministry in the United States. She is passionate about developing good leadership in Christian organizations and about supporting women to faithfully use their gifts in whatever capacity God calls them. Dzubinski received a B.A. from Emory University, a Th.M. from Dallas Theological Seminary, a D.Min. from Gordon-Conwell Seminary and a Ph.D. from the University of Georgia. Diehl, A. B., & Dzubinski, L. M. (2017). An overview of gender-based leadership barriers. In S. Madsen (Ed. ), Handbook of research on gender and leadership (pp. 271-286). Northampton, MA: Edward Elgar Publishing. Warner, S., Dzubinski, L. M., Wood, S., & Martin, C. (2016). Justice meets justification: Women's need for holistic ministry in world mission. Missiology, 45(1), 67-87. Dzubinski, L. M. (2015). Taking on power: Women leaders in evangelical mission organizations. Missiology, 1-15. Dzubinski, L. M. (2014). Teaching presence: Co-creating a multi-national online learning community in an asynchronous classroom. Online Learning, 18(2), 1-16. Dzubinski, L., Hentz, B., Davis, K. L., & Nicolaides, A. (2012). Envisioning an adult learning graduate program for the early 21st century: A developmental action inquiry study. Adult Learning, 23(3), 103. Starcher, R.L., Sanchez, J., & Dzubinski, L.M. (2017, June). Rigorous missiological research: Using qualitative inquiry. Panel presentation at the American Society of Missiology conference, Wheaton, IL. Dzubinski, L.M. (2017, June). Qualitative assessment of the unconscious gender bias index. Paper presentation in Measuring the invisible: Assessing the impact of unconscious gender bias on women leaders. Symposium presentation at the International Leadership Association’s Women’s Leadership Conference, Rhinebeck, NY. Dzubinski, L. M., Sanchez, J., & Meyer, C.S. (2017, January). Doctoral students and their supervisor relationships. Paper presented at the Conference on Academic Research in Education, Las Vegas, NV. Diehl, A.B., Dzubinski, L.M., & Taylor, M.O. (2016, November). Gender inclusive leadership: Discover your unconscious gender bias. Workshop presented at the International Leadership Association conference, Atlanta, GA.
Dzubinski, L. M. & Lewis, J. (2016, November). Teaching leadership to leaders: Practicing inclusive, adaptive leadership in the classroom. Paper presented at the International Leadership Association conference, Atlanta, GA.
Dzubinski, L., Parke, J., & McKirland, C. (2016, October). House church and world mission: A case study. Paper presented at the Evangelical Missiological Society Conference, Dallas, TX. Dzubinski, L. M. (2016, June). Reflections on a class for women practitioners and scholars of mission. Paper presented at the American Society of Missiology, St. Paul, MN. Dzubinski, L. (2016, June). Foregrounding women in global Christian mission. Paper presented at the Association of Professors of Mission, St. Paul. MN. Dzubinski, L., Parke, J., & McKirland, C. (2016, March). House church and world mission: A case study. Paper presented at the Evangelical Missiological Society Southwest Regional Conference, La Mirada, CA. Starcher, R., Dzubinski, L., Akridge, M., Daniel, J., Rhoades, J., & Umer, H. (2016). Coping with entitlement. Presentation at the Ethnographic and Qualitative Research Conference, Las Vegas, NV. Dzubinski, L. M. (2015, June). Portrayal vs practice: Contemporary women’s contributions to Christian mission. Paper presented at the American Society of Missiology, Wheaton College, Wheaton, IL. Dzubinski, L. M., & Diehl, A. B. (2015, June). Identifying second-generation gender bias: Micro-level gender-based leadership barriers. Paper presented at the Advancing women in leadership: Waves of possibility. 2nd annual conference of the Women in Leadership Affinity Group of the International Leadership Association, Pacific Grove, CA. Diehl, A. B., & Dzubinski, L. M. (2015, June). Second-generation gender bias in higher education and religious organizations. Paper presented at the Advancing women in leadership: Waves of possibility. 2nd annual conference of the Women in Leadership Affinity Group of the International Leadership Association, Pacific Grove, CA. Greene, K., & Dzubinski, L. M. (2015, May). Black female bed and breakfast and guesthouse entrepreneurs, empowerment, and the image of God. Paper presented at the On Knowing Humanity, Eastern University, St. David's, PA.
Dzubinski, L. M. (2014, May). Teaching presence: Co-creating a multi-national online learning community in an asynchronous classroom. Paper presented at the Adult Education Research Conference, Pennsylvania State University, Harrisburg, PA.
Dzubinski, L. (2013, June). Taking on power: Women leaders in evangelical mission organizations. The International Leadership Association Women and Leadership Affinity Group Inaugural Conference. Building, Bridging, and Blazing Pathways for Women and Leadership: Celebrating the Past, Present, and Future, Pacific Grove, CA. Nicolaides, A., Dzubinski, L. M. & Davis, K. L. (2012, Nov.). Collaborative developmental action inquiry: A Method for envisioning the future of adult learning graduate programs. 10th International Conference on Transformative Learning, San Francisco, CA. Hentz, B., Davis, K. L., Dzubinski, L. M., & Nicolaides, A. (2011, Nov.). Envisioning an adult learning graduate program for the 21st century: A developmental action inquiry approach. AAACE, Indianapolis. Dzubinski, L. (2010, December). Gender diversity in mission work and leadership: Moving toward kingdom transformation. Espresso: Add a Shot of Excellence, Personnel Conference, CrossGlobal Link. Dzubinski, L. (2010, September). Gender diversity in mission work and leadership: Moving towards kingdom transformation. Mosaic: Engaging the Beauty of Kingdom Diversity, North American Mission Leaders' Conference, CrossGlobal Link. Dzubinski, L. (2010, April). Transforming organizational culture. Connecting to Equip: Moving Women Beyond Surviving to Thriving in Missions. CrossGlobal Link Conference. Dzubinski, L. (2010, April). Gender Diversity in Mission Work and Leadership: Moving towards kingdom transformation. Diversity in Evangelical Mission Today. Evangelical Missiological Society, Rocky Mountain Region.